Extra, extra! Two mugs have been added to the iconic Sardi's wall. 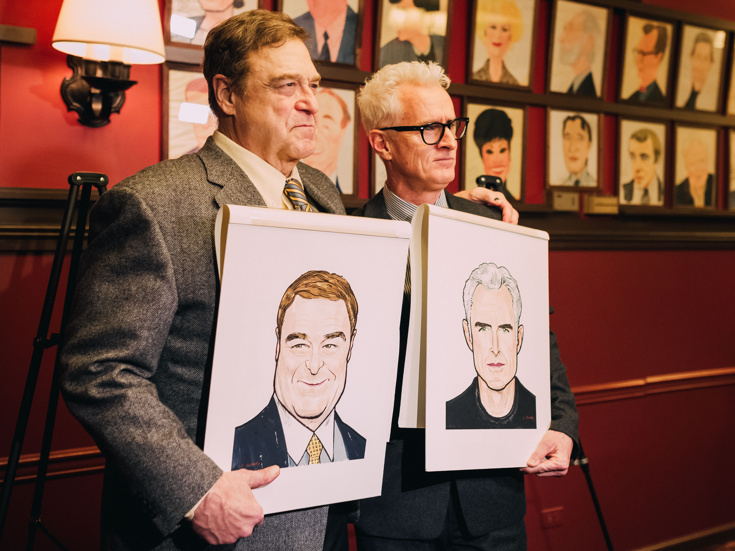 The Front Page's John Goodman and John Slattery received caricatures on January 10. The titanic actors are currently making comedy magic in the Jack O'Brien-helmed revival. 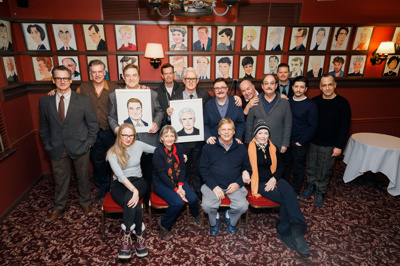 Nathan Lane and the rest of the production's starry cast were on hand to support the two, and Sardi's owner Max Klimavicius presented them with the portraits (see below). Don't miss that deadline! 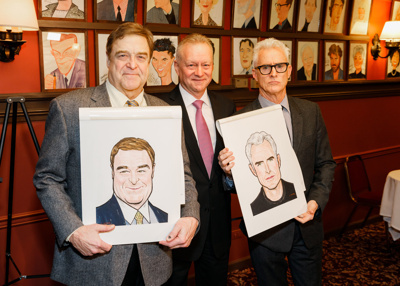 Catch The Front Page at the Broadhurst Theatre through January 29, and check out Goodman and Slattery's caricatures the next time you visit this Theater District institution.